The metrics console can be used to track viewership for your live broadcasts, or to get the viewership numbers for previous live broadcasts. You can enter the Analytics console either directly from the dashboard overview page, or from the Metrics link for each individual channel from the appropriate channel's menu on the left of your dashboard. Once inside the metrics console, you can change the channel you are looking at from the dropdown menu in the upper right. You can toggle between realtime statistics on a live broadcast, and statistics for past live broadcasts, from the tab in the upper left. This chart shows you the concurrent viewer count in real time for your live broadcast. You can also toggle a realtime update of the total views on your channel. Below this chart are several other fields with more detailed information on your broadcast. 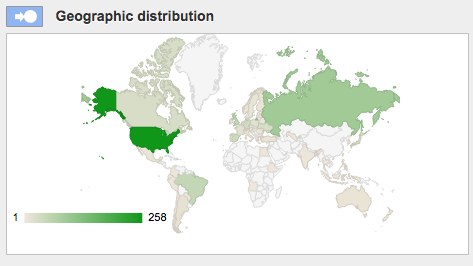 The geographic distribution chart shows you a breakdown of how many viewers in each country are watching your stream. This is represented by a global heat map above, and a list below. 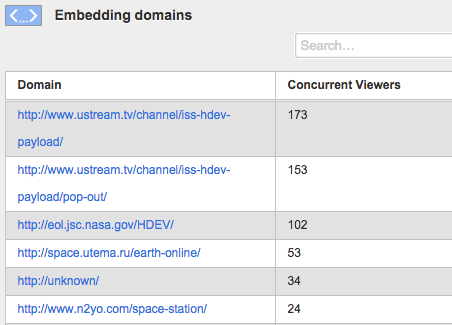 The Embedding domains field shows what domains your Ustream player has been embedded on, and how many concurrent viewers are on each page. 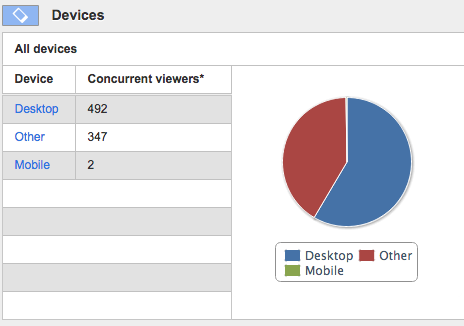 The Devices field shows the distribution of viewers across device type: Desktop, Mobile, or Other. This information is available in both a pie chart and a list form. In the left hand column, you can choose what data you want to appear in the chart. 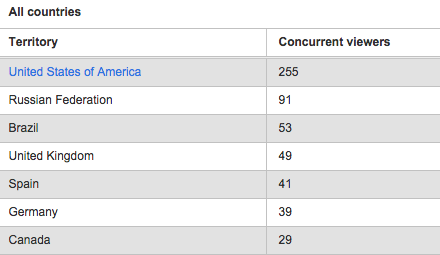 In this example total views are highlighted, but you can also break down viewership by Concurrent Views, Viewer Hours, Unique Views, Viewer Location, or Device type. 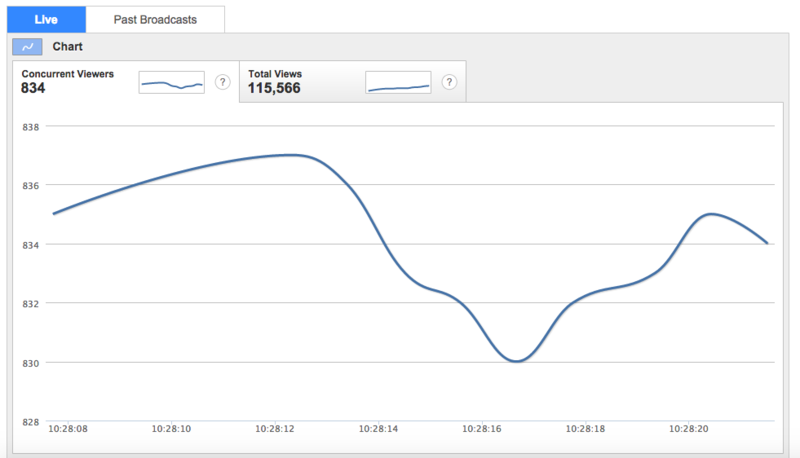 You can also see a breakdown of the number of views on each domain where the player is embedded. The data is also available in table form below the graph, and can be downloaded as a CSV file. Above the graph, you can see a dropdown menu that enables you to change the date range of the data surfaced in the graph itself. Please note that you cannot extend the date range wider than 3 months, nor can you surface data from more than 18 months prior to the current date. To exit the Analytics Console, click 'Back to Dashboard' in the upper right corner of the page.